Text marketing is becoming the go-to platform for businesses in all industries to market to their target audiences. Mobile device usage has increased dramatically over the past few years. Gone are the days when these tools were used strictly to make a phone call. These days, mobile phones are taking the marketing world by storm in the form text message marketing, which is showing zero signs of slowing down any time soon. If you haven’t added SMS marketing to your advertising protocol, here are 6 mind-blowing stats about mobile marketing that will convince you to jump on the bandwagon. As of 2014, it was estimated that 97 percent of the entire global population owns a mobile phone. That’s a whopping 6.8 billion people across the world using their mobile device at any given time. On a more local level, 90 percent of American adults own a cell phone, and 42 percent own a tablet. These astounding numbers have skyrocketed over the last decade alone, which just goes to show how rapidly mobile technology is evolving. With these kinds of numbers, it only makes sense to use mobile marketing as part of your overall advertising strategy. There’s no comparison between the open rates for text messages versus emails – the difference is absolutely astounding. While only 22 percent of people open and read emails that are sent to them, a whopping 98 percent of all text messages are opened. When businesses first started using email marketing to reach customers, the channel was hugely successful. But as spammers increasingly inundate consumers’ inboxes, more and more people are simply choosing to ignore these emails, as they’re often not seen as legitimate. Texts, on the other hand, are viewed as more relevant and are quicker to open and read. With so many people owning and using mobile phones, text messages are always at their fingertips. Even if consumers open their emails, they’re not necessarily reading or responding to them quickly. While it takes an average of 90 minutes for consumers to reply to emails, the response time for texts is a mere 90 seconds. Most people carry their phones with them, and are more likely to see a text come through versus an email. Consumers can quickly and easily respond to text messages while on the go. It’s estimated that consumers are 10 times more likely to redeem a mobile offer than a print offer. Considering how much it costs for paper and printing, as well as the distribution of such print offers, SMS promotions make more sense from a financial perspective. These numbers provide hard proof of the power behind SMS marketing. 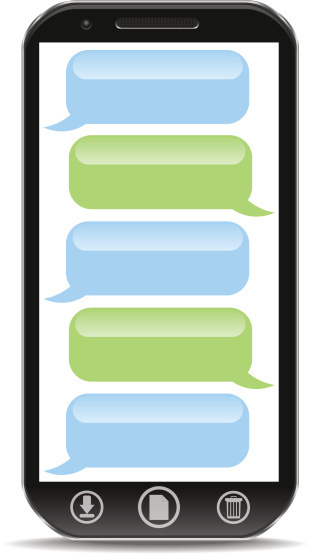 A huge part of SMS message marketing is getting your customers to engage with your business as frequently as possible. A study found that SMS marketing efforts created by retailers across the country produced engagement rates that were eight times higher than campaigns which relied solely on email marketing to encourage customers to take action. SMS marketing holds a wealth of potential for business owners. There’s no denying the power of loyalty programs in retention marketing. A loyalty program encourages repeat business from customers who’ve already tested the waters with your company, without you having to spend all your time and money trying to attract new clients if the old ones disappear. But not everyone is open to joining a loyalty program, especially if it’s not presented to customers in a way that will compel them to want to sign up. People are more apt to participate in an SMS loyalty program than one offered through any other platform. Consider this fact: 57 percent of consumers would be interested in signing up to an SMS loyalty program, and over 90 percent of people who sign up believe they gain value from them. Group Texting is an SMS marketing service that can help you launch your text message marketing campaign quickly and easily. With our innovative use of long codes, you can avoid lengthy short code approvals and set-up fees. Any business in any industry can benefit from SMS marketing from Group Texting. Whether you run a bar, restaurant, pet food store, radio station, or even a church, SMS marketing works! Start your free trial with Group Texting today. There’s no obligation to enroll, and no credit card required! Short Codes vs. Long Codes: What’s the Difference?